Amy was born and raised in small town Roseville, Ontario where she lived her entire life before moving to Kelowna in the summer of 2018. After graduating high school she attended Conestoga College in Kitchener, Ontario and graduated with a Computer Programmer diploma. 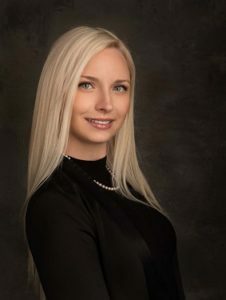 Although she has no prior experience in law, it has always been something she’s been interested in and is beyond excited to work with the wonderful team at Hergott Law! Amy has always loved spending time outdoors and Kelowna is the perfect place to be for activities like hiking, boating, snowshoeing and so much more! She also enjoys spending time with her loved ones – whether it’s going out to dance or staying in to play Catan!